Season ticket arrived this morning complete with nice new card wallet. Nice surprise. salopiancity wrote: Season ticket arrived this morning complete with nice new card wallet. Nice surprise. Mines here the wallet is the "bespoke" gift. I received my season ticket this morning but no wallet? Same. I didn't get one. Not that I'm bothered. Will just sit in my own wallet. Although the wallet looks quite nice. Yes, had mine today, too! Very nice wallet and alongside the new signings, it's made me look forward to the new season even more! You just put it into the same reader as your paper ticket. Don't think it matters which way up. Works like magic! Does everyone get a free wallet?? Thanks mate that's cool I've always just gone when I could as I had other commitments. But this year I can finally go to all the the home games hopefully go to a few away aswell. Can't wait so excited. 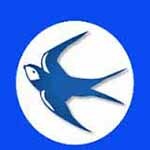 BLUEBIRDS!! !